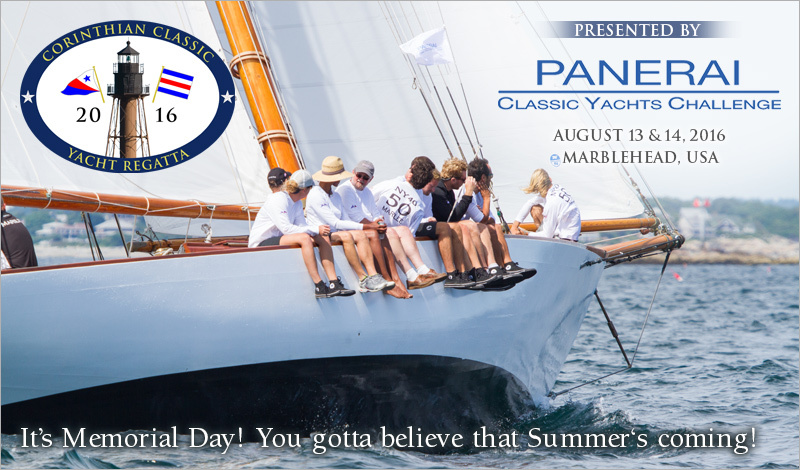 While we’re all waiting, you might want to mark your calendar for the weekend of August 12, 13 & 14 and get your crew committed for the Corinthian Classic Yacht Regatta, presented by Officine Panerai. This regatta is a blast and easy to sail! Long reaching legs will be emphasized and beats will be minimal. The "Classic GRP"- (Glass Reinforced Plastic) - is for yachts built of fiberglass that have not been modified, and have been designed during the CCA era or before 1972. This event has become a "must do" on the Classic Yacht Circuit. This is an event you don't want to skip. Start planning now.